NEW Southwest Airlines Hawaii | Is This a Winning Strategy? 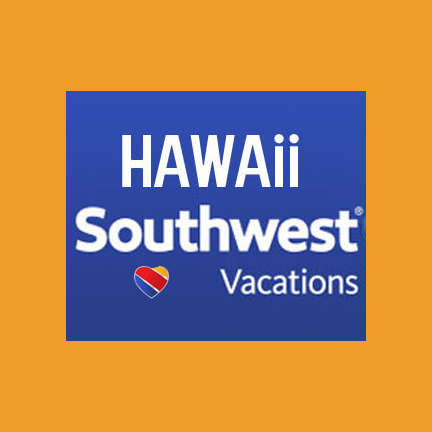 When Southwest Airlines’ Hawaii flights start in the near future, the company will bring with it a very strong brand with loyal customers, quality aircraft, and extensive experience in short and long haul competition. They will learn from the mistakes made by a multitude of past and current airlines serving the islands, and will enter the Hawaii airspace at a time of positive yet tumultuous change. We look at both history and future in today’s update and Southwest’s strategy. 1. Examples Not to be Repeated by Southwest. Aloha Airlines. Out of business now for nearly a decade, Aloha had a lot going for it and at the same time a lot of problems. While they had great brand recognition and public perception, they lacked strategy, resources, good management, and a quality fleet of aircraft. Not a problem for Southwest. Allegiant Air. Just out of Hawaii entirely as of last month, the company began existing the islands not long after their very splashy entrance. They suffered from a fleet of used 757 planes, terrible public perception, unreliable service, unresponsive customer service, lack of expected onboard amenities and services, among other things. Even though Allegiant arrived with $99 one-way airfares, it wasn’t enough to bring them success. Lesson learned. 2. Hawaii entry at a time of tumultuous industry change. New 18 plane fleet at Hawaiian Airlines. A significant number of the new planes will be on board for 2018 flights. Those in themselves will shake up the Hawaii market. The purpose of the new planes is to allow Hawaiian to compete effectively with the other airlines flying to Hawaii using narrow-body aircraft. Those include Alaska, American, Delta, and United. Previously, Hawaiian has relied on a now outdated model, which focused on wide-body aircraft flying into Honolulu and Maui. Over the past decade, however, direct flights to all islands have become the norm on the other carriers. Hawaiian will be adding more direct flights to all islands, and increasing service to places on the mainland that were not practical to fly with their wide-boy A330 fleet. That also frees up the wide-body fleet for new routes both internationally and perhaps domestically (think east coast and mid-west). New flights from United Airlines. United announced that in 2018 they will add nearly 30% more airlift to Hawaii, bringing their total number of daily flights to 40. 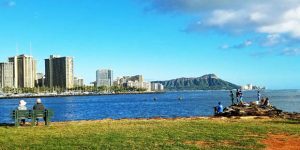 Although we’ve seen less competition from United and the other legacy carriers in the past decade, United has been discounting flights from many west coast cities to Hawaii in the past six months. Those discounts will continue and likely escalate. New flights from Delta Airlines. Delta is in a war with prior partner Alaska Airlines for their stake of the Northwest. This December, Delta will add a Seattle to Lihue year round nonstop flight, in competition with Alaska. We would not be surprised to see more flights to Hawaii coming from Delta Airlines. Significantly lower fares across all routes, at least initially. And if that isn’t exciting enough, those fares will be matched and likely bettered by the competition. With no bottom in sight, we do expect to see airfares in the $100-$150 range each way from the west coast. Southwest’s all coach cabin. Southwest has never deviated in this regard and we don’t expect that to change with Hawaii. More first time to Hawaii visitors. 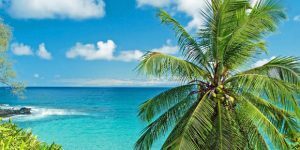 The company expects to not just compete within the existing market, but to actually create new markets of Southwest loyalists who will travel to Hawaii with Southwest for their very first time. Many will use their Southwest rewards to do so. Do you think that LGB, or LAX or SNA are in the running for Southwest flights to Hawaii? Most likely is LAX. Other two, not as far as we are hearing. I emailed SWA directly and they replied that they are definitely looking at SNA Iin addition to LAX. I’d appreciate it if you could attempt to verify this via your sources too. Regarding Keith’s Houston IAH comment: doesn’t Southwest have a presence at Houston Hobby? Wouldn’t that be an option if WN begins service to Hawaii? I know very little about Southwest other than seeing them at some of the airports I use. Poor Hawaii. Too many visitors already. One more plus for Southwest … free checked bags for longer vacations in Hawaii. My friend can do 3 weeks with just a carry-on, but I can’t. Will they be flying out to hawaii from the west coast? Pdx is what i am hoping for.And am I reading right.they are going to start in June 2018? Probably not from PDX ever and likely not in June from any location. We are totally committed SWA fliers. I am an A-List flyer with a Companion Pass for my husband. Unfortunately, I already booked with Hawaiian to travel in late June from Oakland – LIH. Is there any chance that I can rebook with SWA without losing all of the money that I have already paid for my Hawaiian tickets? I can’t imagine that there is a scenario good for us, but thought I’d reach out to see what others have to suggest. I visit Hilo once or twice every year. While the number of flights to Kona are increasing and the prices dropping, it seems like the only nonstop flights from the mainland to Hilo are on United from Los Angeles. Do you know if any other airlines are planning nonstop flights to Hilo from anywhere on the West Coast, or if United is planning nonstop flights to Hilo from anywhere other than LAX? Thank you for any info about flying directly into Hilo. We aren’t aware of any plans for future Hilo flights from the mainland. Sorry. We have a trip planned to Maui from Portland Oregon in mid June, when is the best time to purchase plane tickets? If you’re a gambling person, wait and see what new planes and flights coming to Hawaii and other competitive factors will bring. Otherwise, best to buy right away as that is peak travel season. What are your thoughts on the Phoenix market? It is a SW hub and HA and AA both seem to have the market cornered with fares that are usually almost the same. Or will we be limited by the 737 they use? It seems like there will be changes coming to the Phoenix market, and likely for the better. Based on new planes both for SWA and HA. Maybe not right away, but in next year or so. thoughts about inter-island with SW and when? No further hard information at this time. Might start with one-stop kind of inter-island, like Kona-Honolulu-Oakland. But that’s just a guess and no one knows for sure. We are flying to Maui 3-31-18 for one week (Easter week). Any chance Southwest will be flying to Hawaii by then? Also, should we hold off booking our flight even if Southwest will not be flying to Hawaii by then? Right now, with Easter week, the flights are very expensive. No Southwest will not be flying. Also spring break is always expensive and next year won’t be different. You can wait until last minute if you’re okay with not going or paying more if it doesn’t work out. Otherwise for that high season, best to book now. We have a condo booked in Maui in late April 2018 but have been holding off on booking the flights (non-stop preferred from San Diego) in hopes that Southwest will be servicing Hawaii by then or that the anticipation will result in lower fares, but so far we havne’t seen this occur. As far as I’ve seen, there hasn’t been an announcement of the beginning of service yet, am I correct? Not expecting that to happen. There could be new flights from HA from San Diego but not positive on that either. About $450 now but hang out a bit and should improve somehow. We’re thinking price target of about $100 less. I would love to see more (re: any) affordable options out of the Midwest. Cheap from the West coast, yes, but to get to CA or WA from the Heartland is really pricey. But it doesn’t seem be dropping yet. I have an app called hopper that predicts pricing dropping below 300 and I have reas here to watch for last minute deals… so my question is how last minute should I wait? Wouldn’t think Hopper knows much frankly. Not sure what you’re asking about. You didn’t list cities and dates in any way we could understanding. We need something like I’m looking to fly between X and Y oin this specific date range and what can be expect price to be. Sorry to not be able to help. Looking for nonstop or one stop flights on Southwest from Boston or Manchester, NH, to Maui in late Feb. Any chance this is going to hhappen by then or any time soon after? I live in Sacramento, CA and have family living in Kona on The Big island of Hawaii. I have not found any direct flights from Sacramento to Kona. When flying Hawaiian, we fly to Honolulu then have to island hop to Kona for an additional charge or United flys to Los Angeles then to Kona but we have to pay for the additional stop. I’ve seen larger Alaskan Airline airplanes land there so I don’t understand why there is no direct from Sacramento. Although with Sacramento being one of Southwests main hubs, we’re crossing our fingers they will offer direct to Kona. What do you think? I am loving all the intel. Thanks so much for keeping us all in the loop. My question is about purchasing flights for March 2018. We have rigid plans to fly on March 24, so I missed the opportunity for the crazy cheap flights from the west coast because those dates ended on March 22. Any thoughts on lower fares for the last week of March out of California? We’re in LA, but could also fly out of San Francisco. That’s the peak of spring break so really don’t expect to see any improvement. There is a remote possibility of new flights coming by then but you’d have to be willing to take a chance that it won’t work out. Right after that next spring things should get better with the new planes coming to HA. Any chance Southwest will re-open the routes from Orange County that Aloha used to have? Aloha we are flying to Kauai in June 2018 and have not purchased our air flight yet. 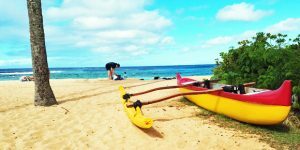 Can we expect to see a drop in flights to Kauai in June? Should we wait to book? For next year it might work to gamble and not purchase tickets in advance. That is in case you are the adventuresome type. We don’t know for sure, but it is looking good for unusual discounting next summer based on everything we know and have been sharing. If not, then buy now but don’t look back. We’re really hoping SWA will affect United’s choke-hold on Houston. We’re hoping for the same thing. SWA will certainly be bringing people from across the US to Hawaii and that has to be part of the planning. 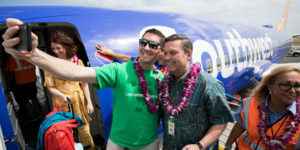 Home » News » Hawaii Airline News » NEW Southwest Airlines Hawaii | Is This a Winning Strategy?